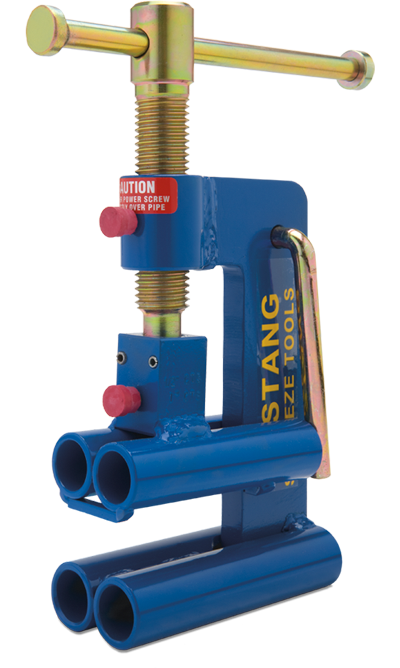 The smallest tool in Mustang’s lineup, the DBS-10A employs an open frame design, which permits easy application on service PE pipe. Gap stops are welded to the upper jaw and grease fittings are provided for power screw and thrust bearing lubrication. Static electric grounding is accomplished using a SEG-30 Grounding Rod attached to the upper jaw.